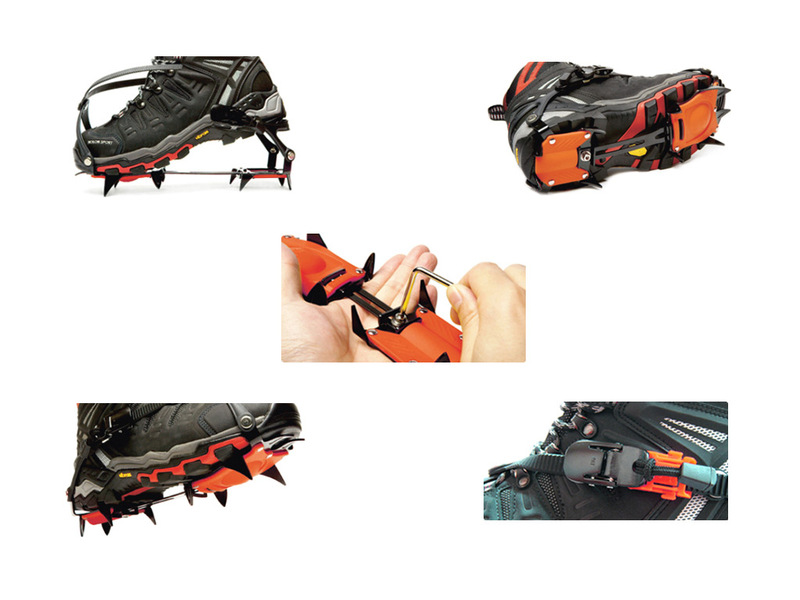 The 10-point Trail Crampon Pro features heat-treated carbon steel, making it ideal for snowy or icy approaches. 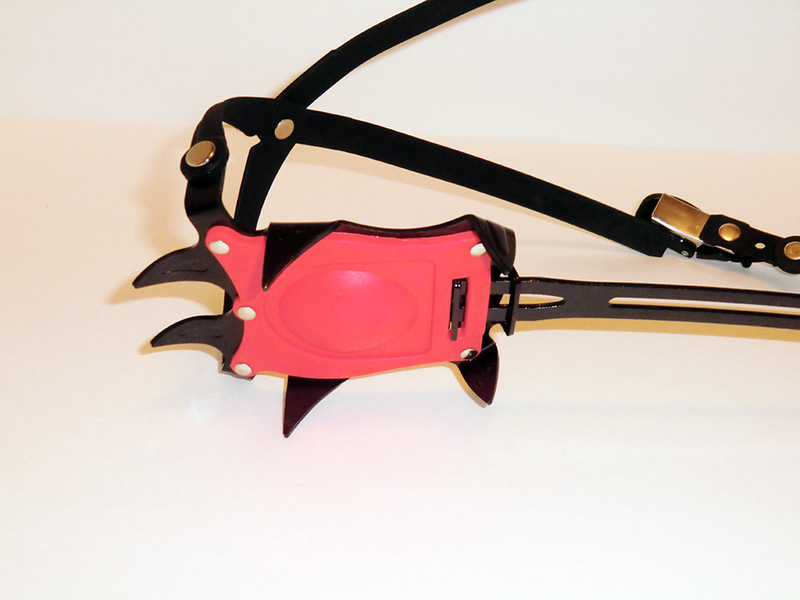 The ratchet buckle bindings are designed to be easily used with most footwear. The Pro crampons utilize an x-shaped polycarbonate harness to avoid pressure points as found on many traditional crampons. They also feature anti-snow pads to prevent balling underfoot and Alpine stoppers to prevent accidental release of the buckles due to snow accumulation. The Hillsound Trail Crampons PRO appear to be very similar to standard ice climbing crampons, just a lighter weight, less beefy version. They have 6 spikes on the front section and 4 spikes on the rear section for a total of 10. The anti-balling plates look just like those on regular ice climbing crampons. The major difference is the Hillsound Trail Crampons PRO come with a universal binding that uses a ratcheting buckle system. 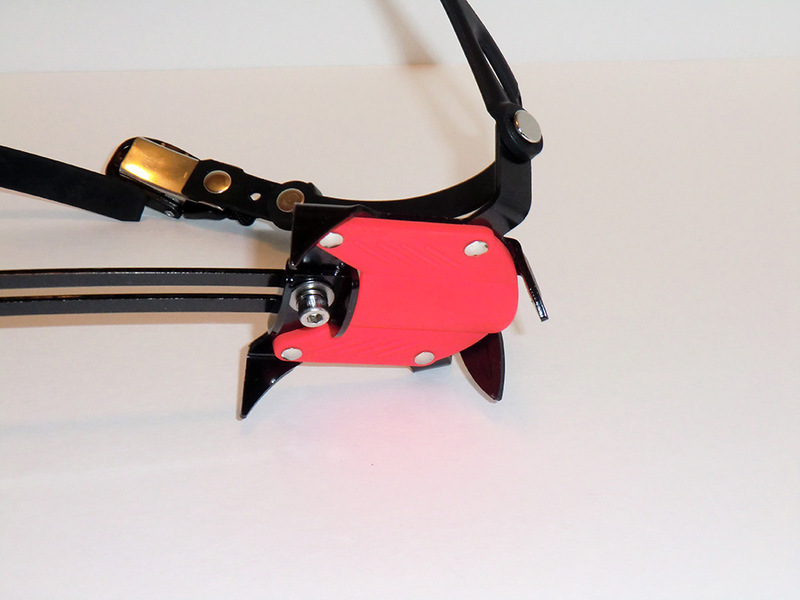 This is unlike any binding system found on traditional ice climbing crampons. 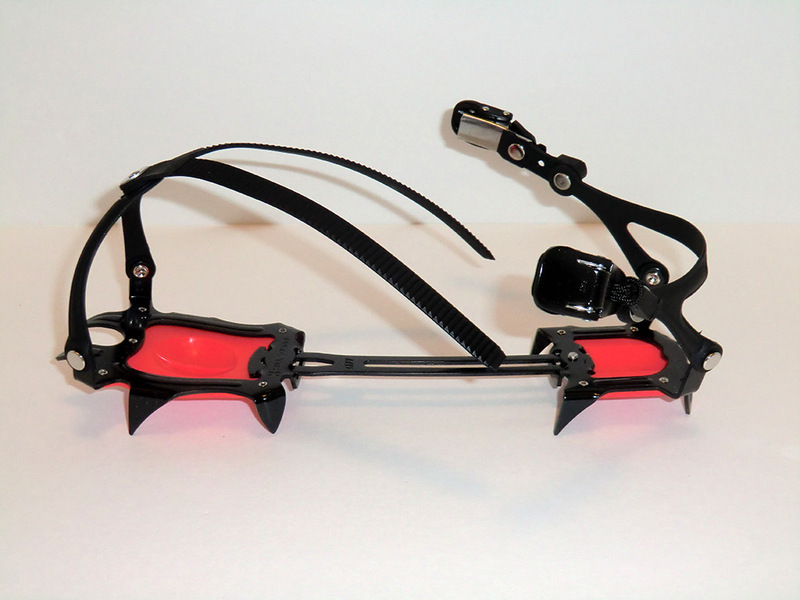 The Hillsound Trail Crampons PRO are foot specific (i.e. right and left). I found them very easy to put on my size 11 Sorel Conquest winter boots and size 10 1/2 Salomon 3D Fastpacker Mid GTX hiking boots. They are not field adjustable without an allen wrench, so one must be sure to set the size before venturing out. 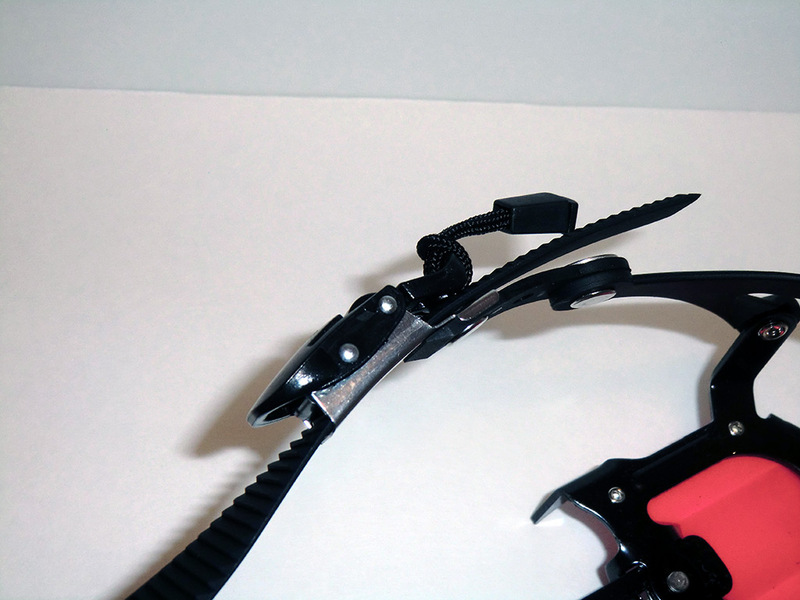 The PRO crampons go on much like regular crampons, but take less effort and time due to the ratcheting buckles. I really like the binding system and am interested to see how they perform during hiking and light climbing. They are quick to put on and remove and should be great on speedier adventures. My pair of Hillsound Trail Crampon PRO in the regular size weighed in at 23.7 ounces, only 0.1 ounce heavier than advertised. They are about 10 ounces lighter than traditional ice crampons and should be great for approaches and easier winter climbs. 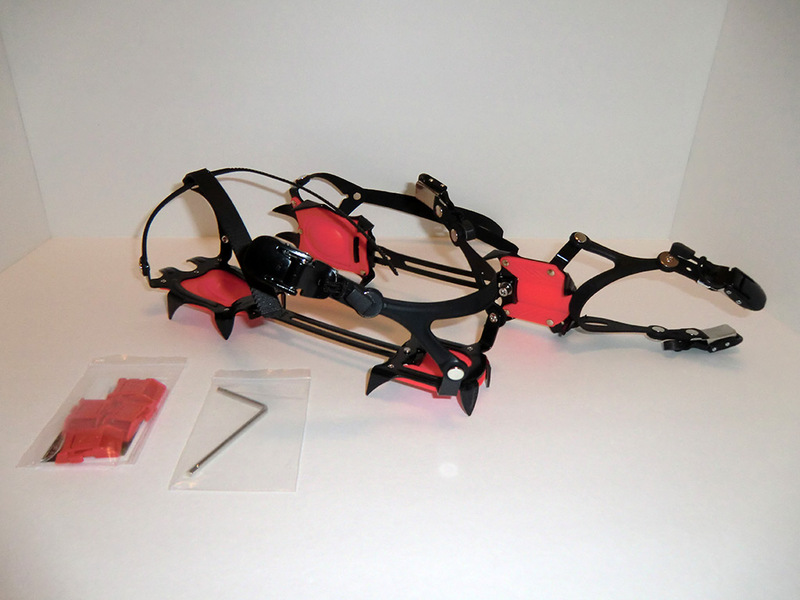 The closest competition are Kahtoola's K-10 Hiking Crampons. I had a great opportunity to test out the Hillsound PRO Trail Crampons after hiking into Jefferson Park and proceeding to climb Park Butte. The snow covered slope averaged about 30-35°. The crampons proved easy to use and effective even though this climb was a little more than they were designed for. Halfway up I had to climb across a large talus field and I chose to remove the crampons. They were quick to come off and quick to get back on when I hit the snow again. The ease of use is what I like most about the Hillsound PRO Trail Crampons. The points were effective at gripping the slippery slope (soft snow on top of hard layer) and the anti-bots were effective at keeping the snow from balling underfoot. I was able to kick steps, but not as easily compared to traditional full size crampons. I also felt like the shorter points did not grip as much as the longer points of traditional crampons. But this is to be expected since the Hillsound crampons are designed as an approach crampon versus a real climbing crampon. However they can get the job done in a pinch. I wore the crampons on rock to climb the final 30 feet to the summit and they held up fine like an ordinary pair of steel crampons. They were actually better since the points were not as long. See Park Butte - Mt Jefferson Wilderness adventure where the Hillsound Trail Crampon PRO were used. 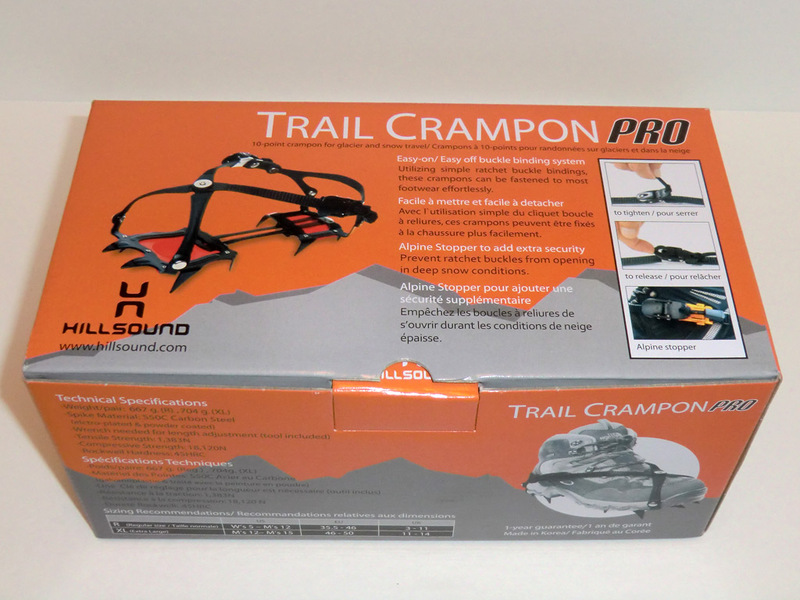 Special thanks to Hilsound for providing the Trail Crampon PRO for review.